Dubai Tourism has declared a new GCC-wide joint venture with Gulf Reps, one of the travel consultancy agencies of the region, as part of its continuing drive to draw more visitors from all over the Gulf to vacation in the emirate. 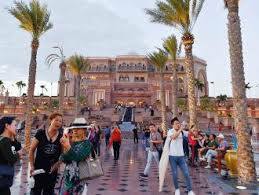 The affiliation will give Dubai’s Department of Tourism and Commerce Marketing, Dubai Tourism, the right to enter to Gulf Reps’ extensive network of travel industry professionals and media, as it aims increased tourist numbers from Saudi Arabia, Oman, Bahrain, and Kuwait. Under the contract, Gulf Reps will function as a representative office within the GCC with an exact focus on developing tie-ups with the tourism market of the region, primary travel trade publications and travel companies with the intent of endorsing Dubai as the preferred destination of choice for visitors from neighboring GCC countries. From GCC, overnight visitors made up 18 percent of all tourists to Dubai last year, emphasizing the region’s position as one of the most significant source markets for Dubai. The partnership with Gulf Reps will permit Dubai Tourism to maximize its exposure to, and association with significant industry and trade partners all over GCC, giving the city even greater visibility in strategic media outlets and travel industry publications as well as digital media.